Welcome to BCP Digital Printing's Web site--where you can access us around the clock! Of course, during business hours (Monday through Friday, 8:30 am to 5 pm), we are just a phone call away; you will find our telephone number listed at the bottom of every page. WANT TO GET YOUR BOOK PRINTED FAST? HOW ABOUT A QUICK ONLINE QUOTE? CLICK HERE AND VISIT OUR NEWEST SITE A Good Day To Print.Com. 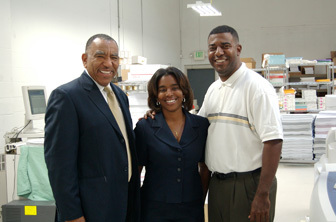 WE HAVE OVER 38 YEARS EXPERIENCE PRINTING BOOKS AND LONG DOCUMENTS. LET US USE THAT EXPERIENCE ON YOUR NEXT BOOK. CLICK NOW! With books and manuals, your design, layout and printing has a story to tell. Let our design team give your publications a life of their own, with eye-catching design and professional content layout.